For all the ramen joints we have in town, most seem to be located along and around Robson Street in Downtown Vancouver. Hence, there are only a smattering of them in other parts of the GVRD. The reasons for this are many, but the biggest determining factor is demographics. 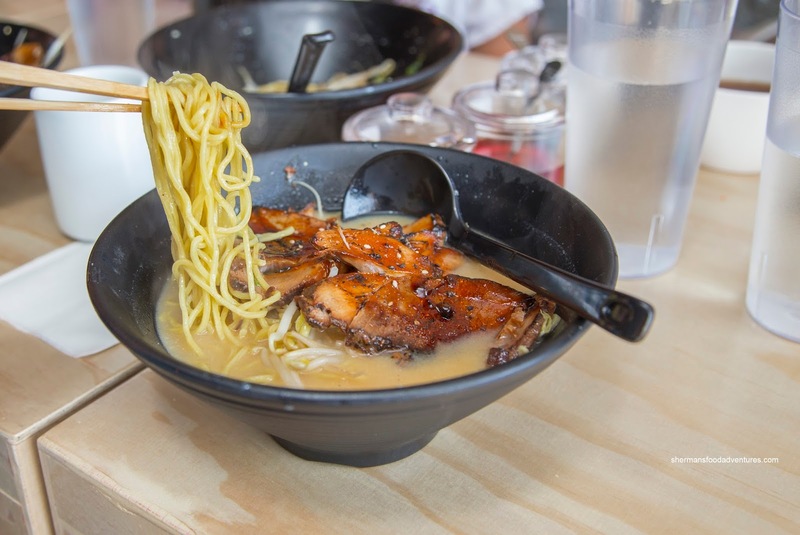 Due to their tight quarters, ramen joints are not exactly family-friendly. 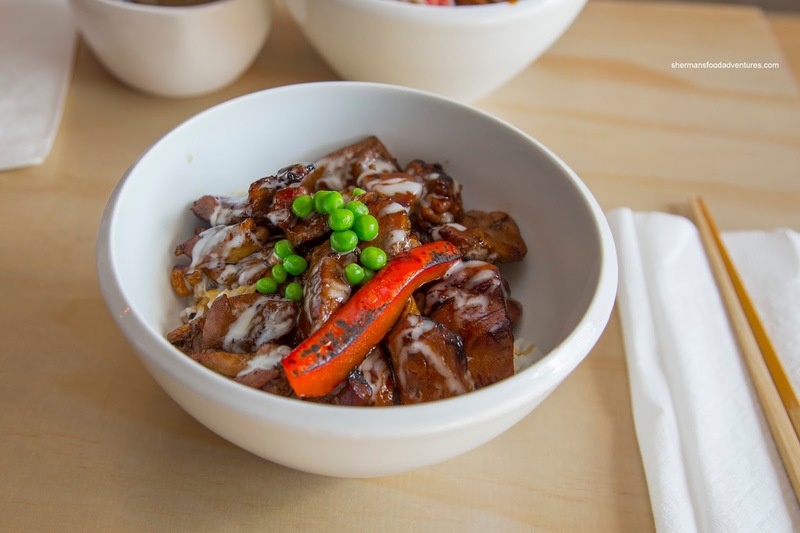 Furthermore, the type of cuisine is perfect for the single diner and especially in Downtown, the international student. 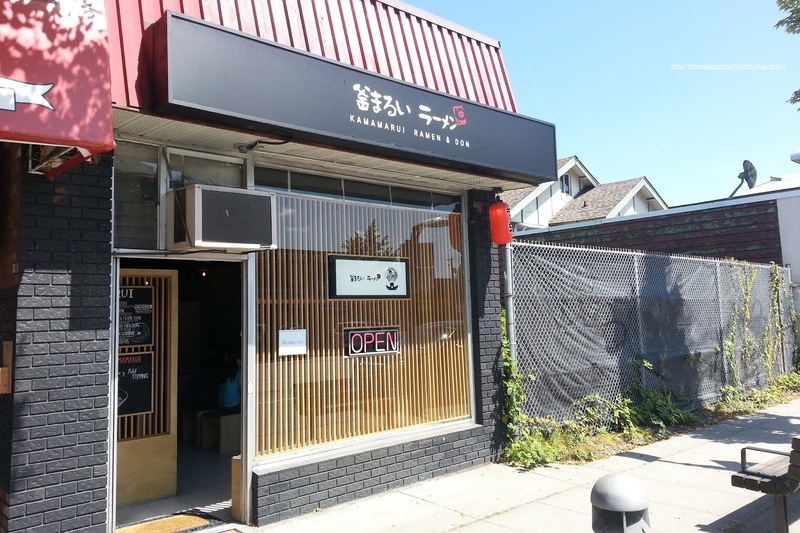 So it is no surprise that there are only 2 ramen spots in North Burnaby, where the population is predominantly families. 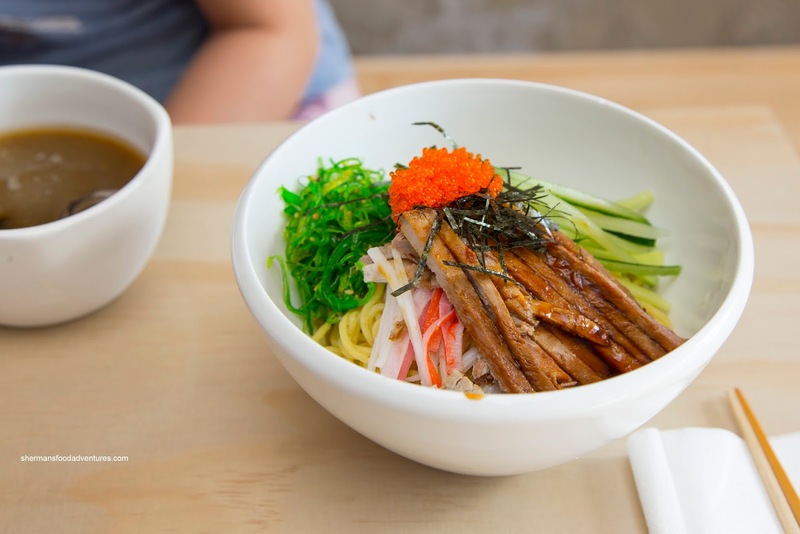 However, that didn't prevent Viv and I from bringing the kids with Elaine and her kids to the newly opened Kamamarui Ramen & Don situated in the old Akira Sushi location. We almost took over one half of the restaurant. The kids ended up sharing the Tonkotsu Ramen with sprouts and 2 slices of chashu. Silky, fatty and full of pork flavour, the broth was flavourful and full of depth. As for the noodles, they were well-portioned and toothsome. We weren't fans of the chashu though since it was far from tender. Furthermore, we found it to be salty from the sticky glaze. 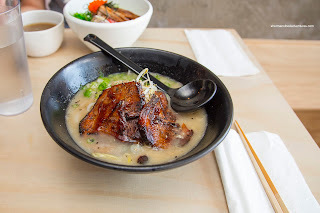 Viv decided on the larger Chashu Ramen with the same broth, yet with the addition of 2 more slices of chashu. 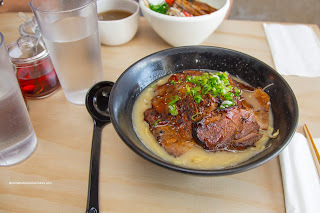 As such, the broth was pretty salty from the sweet and salty glaze from the chashu. For myself, I had the Miso Ramen based on the same pork broth. Due to the miso, the soup was saltier and more pungent. The miso paste was quite evident while the pork flavour did come through at the finish. Just like the previous 2 ramen bowls, the noodles were toothsome and stayed as such to the end. We also had a Chicken Don at the table and it looked rather impressive with a good amount of meat on top. It was moist and succulent while sauced in enough teriyaki sauce for impact. There was also noticeable smokiness from the torching. Underneath, the rice was chewy and sufficiently moist. Due to the ample and well-seasoned chicken on top, the rice was completely flavoured as a result. Lastly, Marshmallow had the Cold Ramen with loads of toppings including shredded imitation crab, chashu, cucumber, wakame and julienned cucumber. As such, the dish was filling and flavourful on its own. She found the noodles to be a bit clumpy though, even after using the side of cold broth/sauce. She didn't need much of it as the entire dish became too salty as a result. 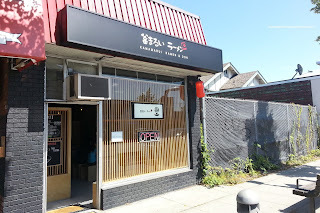 Overall, we thought the meal was pleasant and obviously decent for North Burnaby (as there is only one other ramen joint nearby). The broth was pretty decent, however, they could ease up with the seasoning on the chashu though.